The 2018 TEAMS program supports local teachers through a chamber partnership with the HSU Educational Foundation. Designed to recognize excellence in the teaching of science and math at the high school level in North Okaloosa County, TEAMS seeks to generate interest and improved performance in Science, Technology, Engineering and Math (STEM) among local students. Teachers participating in TEAMS receive the impactful recognition and transformative support of the local business community. This program was developed by Dr. Paul Hsu, a successful business leader and entrepreneur, engineer, presidential appointee and first-generation immigrant. 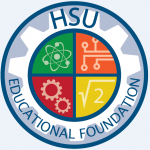 The HSU Educational Foundation is committed to supporting TEAMS in the interest of promoting education in Okaloosa County. In North Okaloosa, two deserving TEAMS recipients will be selected to each receive special recognition and a $5000 award. Potential TEAMS candidates* are nominated math or science (including computer science) teachers of North Okaloosa County high schools who follow program application guidelines for eligibility and participation in the TEAMS selection process. 2018 Nominations are being accepted through February 15, 2019 by visiting this link: www.surveymonkey.com/r/2019TEAMS. Nominees will have an opportunity to complete applications by March 15, 2019 and awards will be presented at the April Monthly Breakfast. Additional program details are available at www.hsu-foundation.org. Congratulations to our 2018 HSU TEAMS Award Recipients!